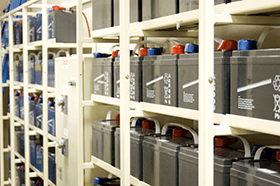 Canara, a predictive analytics company that focuses on batteries, is to merge with data center services firm Capitol Power Group (CPG) to create a business that will optimize facilities' entire mechanical and electrical plant. The new company will operate under the CPG name from Ashburn, Virginia. It will be led by Tom Mertz, former CEO of Canara, and offering predictive analytics services to data center operators. The merger was arranged by Canara's owner Columbia Capital. Both companies have been around for 20 years. In that time, Canara has been optimizing and analyzing battery performance (at first, under the IntelliBatt name), but it had always wanted to expand its coverage to include all the infrastructure equipment in a data center, for example UPS and CRAC systems. It also wanted a strong engineering services arm to perform optimization at client sites, and investment for more growth. The merger, and Columbia's backing, should provide all three, Mertz told DCD. The company looked around for a services organization which was ready to apply the Canara technology across a broad customer base. Ashburn-based CPG has been growing its business for twenty years, and had recently started to expand internationally, vice president of business development Jim Marsh explained at DCD>Dallas in 2018. The company provides full lifecycle support for mission-critical infrastructure, including modular and hyperscale facilities.